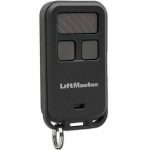 The HCTDCU model, as manufactured by LiftMaster, is the ultimate high-traffic door and gate opener for apartment houses and low-profile applications. It is meeting the challenge of today’s high cycle applications by providing the ultimate in durability, quiet operation and security. The HCTDCU is designed for installation in even the tightest applications. At only 8 inches high, it’s up to 10 inches shorter than other overhead operators. In addition, it’s extremely quiet so as not to disturb tenants living directly above the garage. For added safety, the HCT includes a key release feature for instant access in case of power failure. And all components are fully enclosed to greatly reduce the risk of injury. Solid-state electronic motor drive system is incorporated into the control board. Smooth start/stop and mid-travel reversal reduce stress on moving parts. 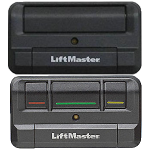 UL 325 Listed for both door and gate applications. Our extensive 5-year warranty boosts customer confidence. NONSTOP ACCESS -Ensures that residents can always get in and out with up to 112 open/close cycles. Ideal for applications requiring a large number of remote controls. A secure and vandal-resistant controller. 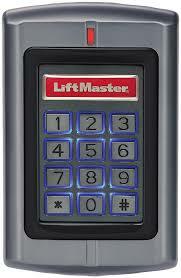 This keypad and proximity card reader is simple to install and looks great. 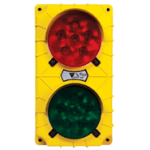 Electric or pneumatic sensing device may be added to the bottom edge of the door or gate to quickly sense an obstruction and signal the operator to stop and reverse to open.